When I had just Ayra, shopping for clothes is much more fun to do, I see pretty dresses, cute tees and anything pink, I’ll just grab and pay. Good thing baby no. 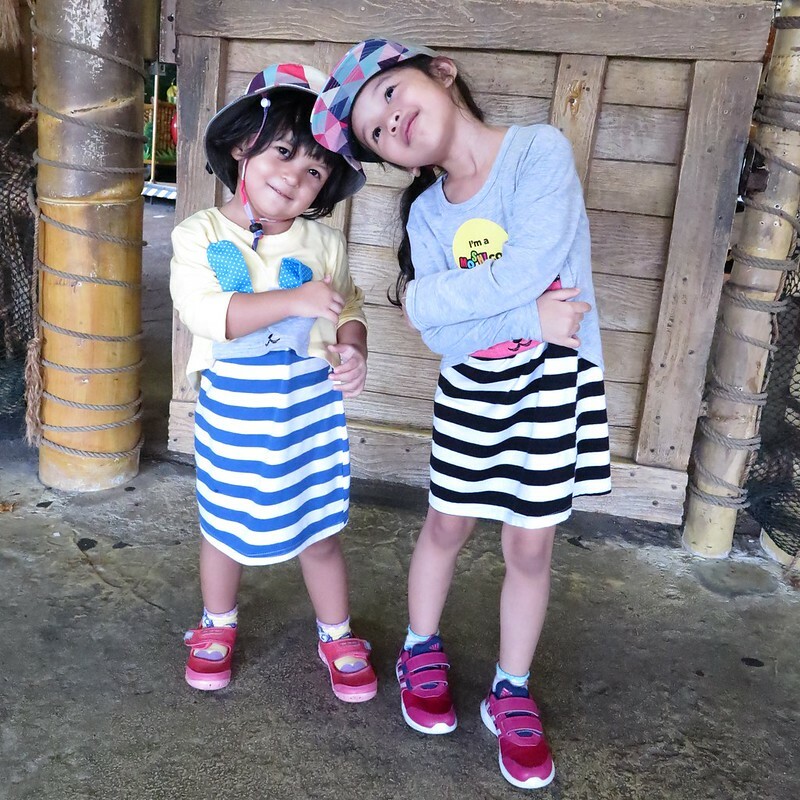 2 is a girl too, so the lifespan of all the elder sister’s clothes is now doubled! Things were going alright for the past one and a half year, but now that Zara is older and wiser, she too is starting to pick her own clothes and shoes! Yes she does that almost every weekend, rejecting the tee and shorts I picked before shower, and insisted wearing the same as her elder sister, and vice versa. This is giving me a big headache. 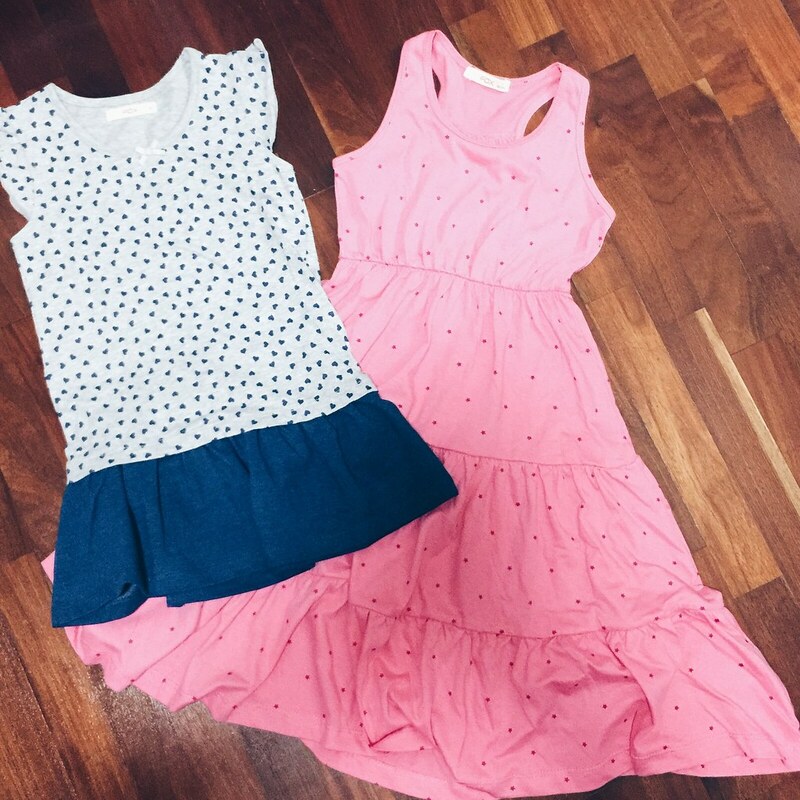 If you’re following us on Instagram, you would have noticed the “twin” dressing the girls have. These days when I do get a chance to shop for clothes, I will take double the amount of time I used to when shopping for one. And when I see something I like the girls to wear, I’ve to find another piece of a bigger/ smaller size or one that looks the same but different. You know, a pink and purple version for example? I try not to buy two identical pieces so that Zara will still be able to fit into a “new” set of clothes when she grows up to fit Ayra’s current size. With Zara now growing out of her baby (1yr to 3 yr) sizes, I can better shop for similar clothes from the kids size racks in stores. A size 4 for Zara and size 6 for Ayra. 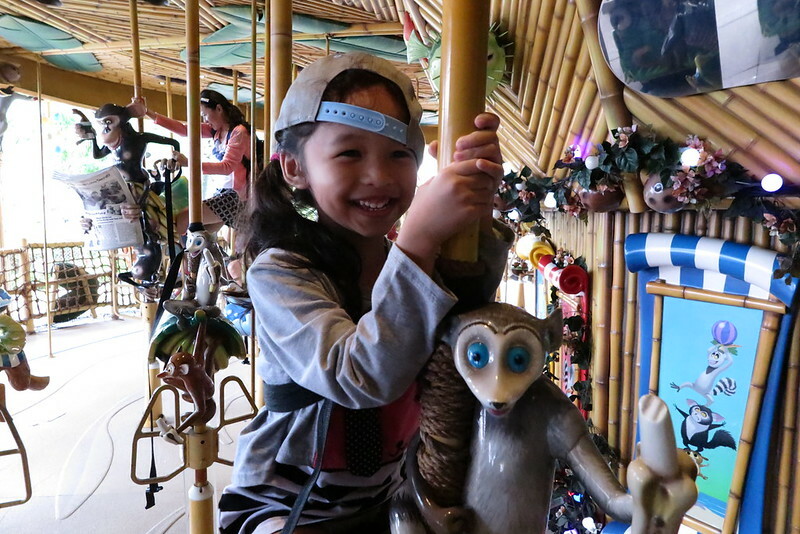 These are what we got from our recent shopping trip to one of our favorite store FOX Kids & Baby, this time at their United Square outlet for their Mother’s day block printing activity. Personally I’m loving Fox Kids & Baby even more these days, because they are bringing in hipster designs and prints that will never be in passing trends, like the overalls above and the star design dress below. 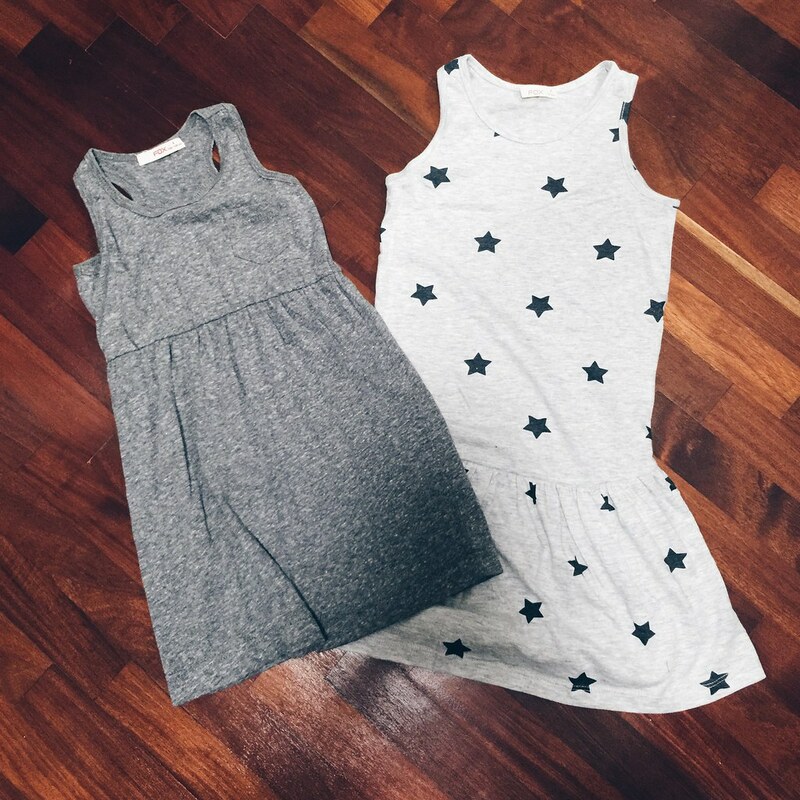 Matching shades of grey dresses, just add a star pin or necklace for the little one and they’ll matched! 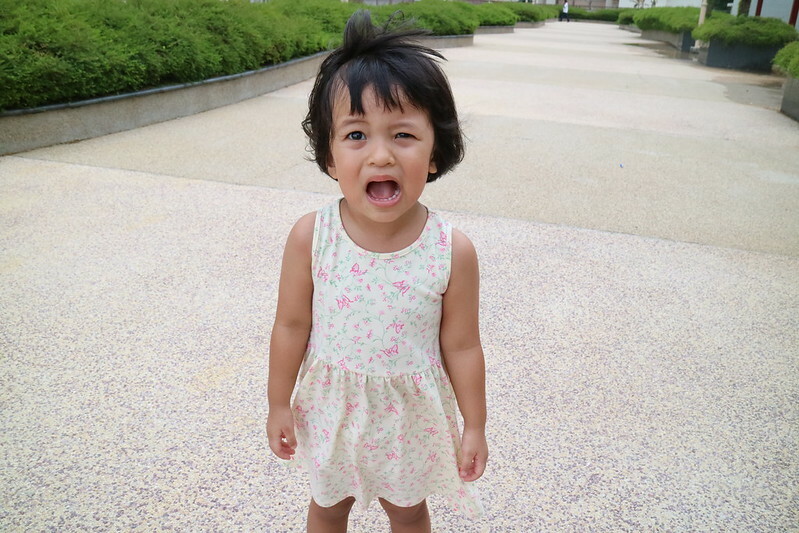 Then there is the long long dresses that Ayra is super in love with, since Zara is not tall enough for these maxi dresses yet, we’ve gotten her a bigger baby sized dress, so she gets to wear a long dress too like her sister. 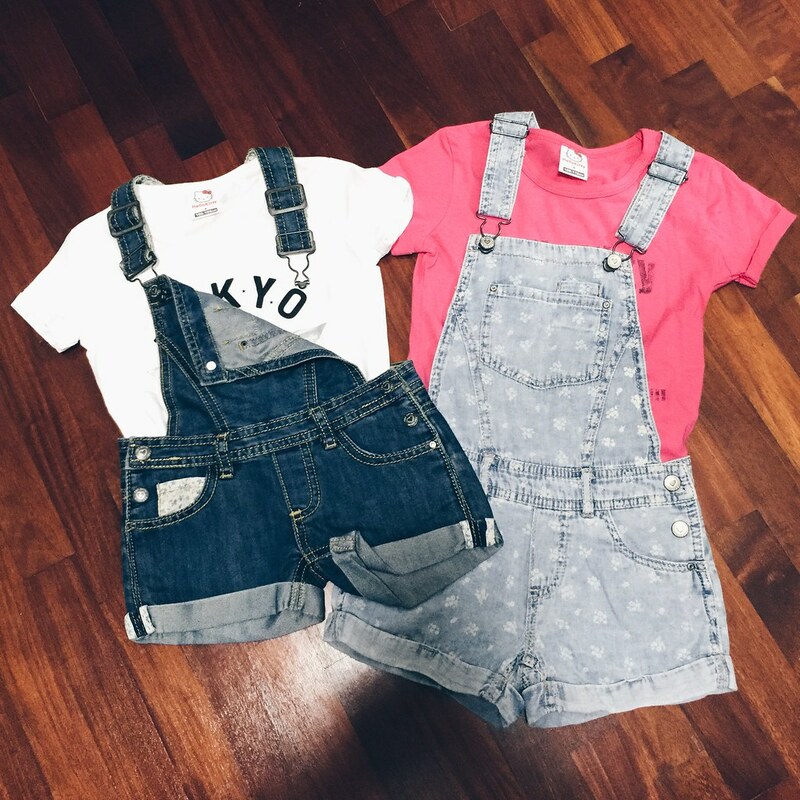 FOX Kids and Baby Spring Summer collection is now available in store! Go check it out! You’ll also get free $10 voucher if you sign-up for their WT+ membership here. Disclosure: The Loving Mum was invited to partake in the activity and provided shopping credits to dress up our little girls. All opinions are our own.